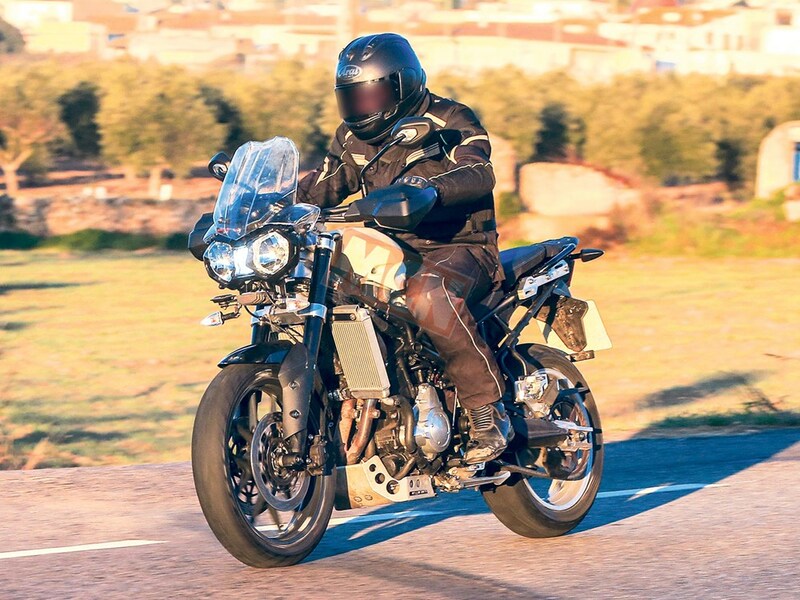 A new version of the Triumph Tiger has been spotted testing in Spain recently in its earliest form of development. 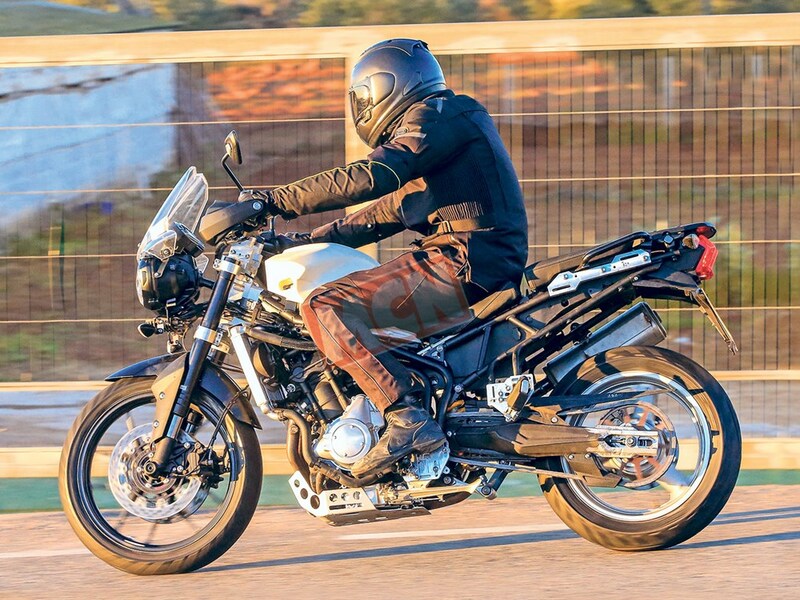 However, it will be an evolutionary take on the existing Tiger 800 XR going by the design of the lighting system up front and rear as well as inline triple motor and the cast alloy wheels. In comparison to the current 800 XR, it will have modified ride height, tuned suspension and reworked engine to ensure dual-purpose behaviour as an adventure bike and sports tourer. The test bike seems to have sat low to offer comfortable riding position with less fork travel and revised monoshock rear suspension. The decreased ride height means cornering ground clearance will have to be adjusted as well. Subsequently, to avoid suspension hitting the radiator, it is now splitted into two parts. The exhaust could have seen increased dia alongside changes to the engine components to accommodate updates recently received by the Street Triple series. It could carry a high displacing engine with capacity close to 900 cc with changes to bore and stroke. 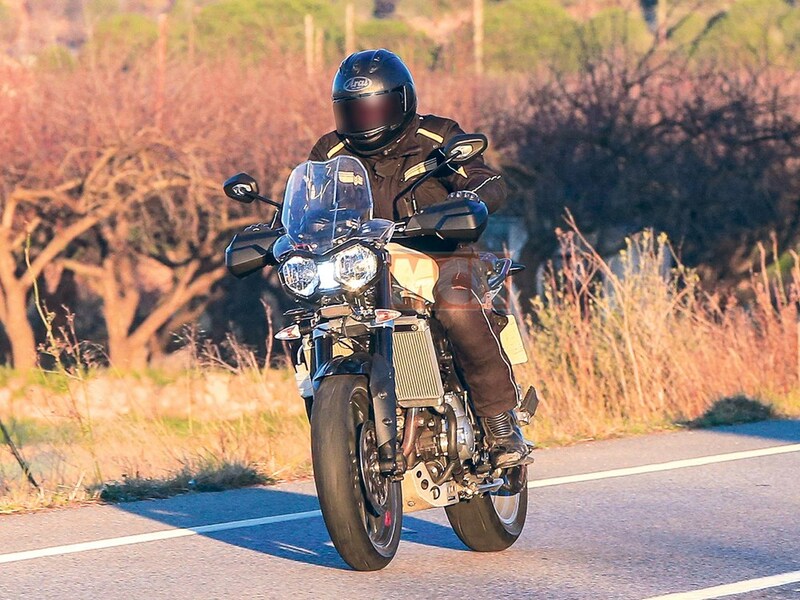 The new motor could develop close to 110 bhp which will spice up the competition in the middleweight adventure category and crucially will bring it on par with the new Ducati Multistrada 950. 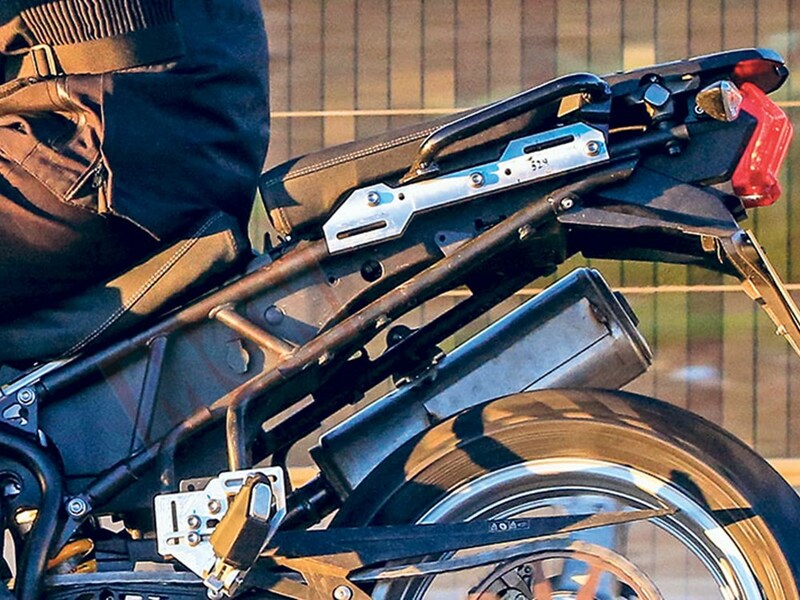 Other likely mechanical changes are new bolt-on subframe, fully adjustable headstock, new pillion peg hangars, revisions to the main frame, etc. Visually it will have LED daytime running lights, larger mirrors, sharper body panels, enhanced seats and knee grips and so on. The fuel tank seems to be shaped like the existing Tiger 800 with 19-litre capacity. As the updated Triumph Tiger 800 appears to be on its initial stage of development, expect it to hit showrooms internationally by 2019. In India, the existing Tiger 800 XR is priced closed to Rs. 11.50 lakh and gets power from an 800cc engine making 94 bhp and 79 Nm peak torque. We predict the heavily revised model to arrive at the end of 2019 to local dealers.